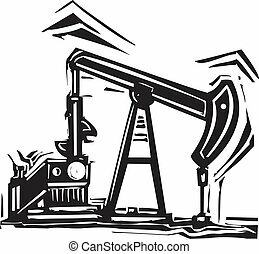 Brontosaurus oil well pump. 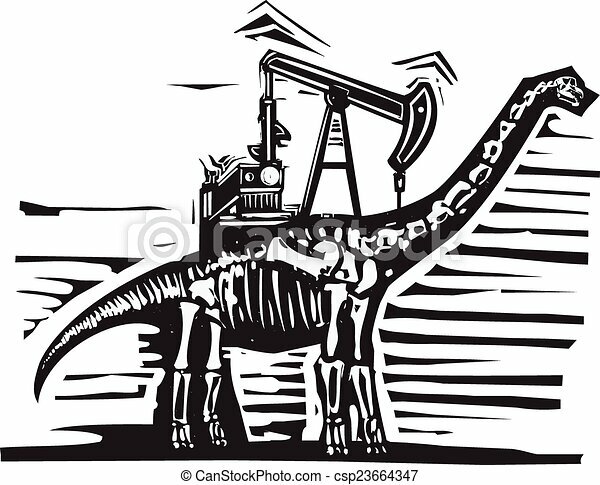 Woodcut style image of a fossil of a brontosaurus apatosaurus dinosaur with an oil well pump jack on its back. 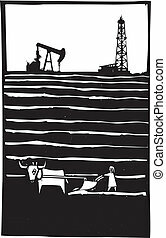 Woodcut style image of a fossil of a brontosaurus apatosaurus dinosaur with an oil well Pump Jack on its back. 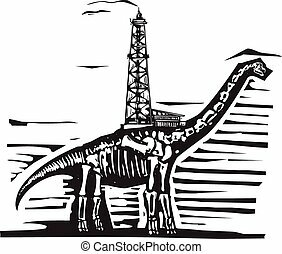 Woodcut style image of a fossil of a brontosaurus apatosaurus dinosaur with an oil well on its back. 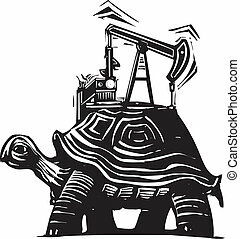 Woodcut style image of a turtle with an oil well pumping rig on his back. 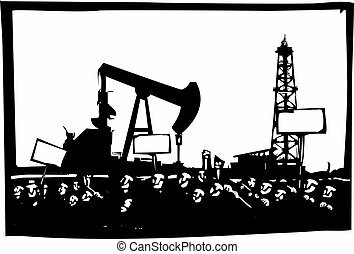 Woodcut Style image of an Oil industry oil well pumpjack pumping oil. 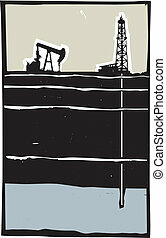 Woodcut style image of an oil well by a primitive impoverished farm. 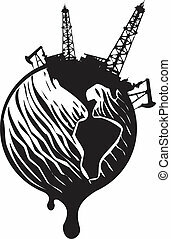 Woodcut Style image of the earth covered in Oil wells and dripping. 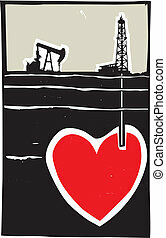 Woodcut style image Oil well drilling down into the earth and into a Heart. 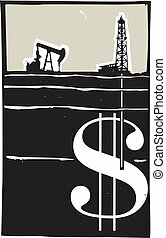 Woodcut style image Oil well drilling down into the earth and into a dollar sign. 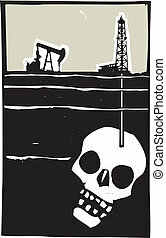 Woodcut style image Oil well drilling down into the earth and into a human skull. Drill and Pump jack drilling in the ground down to an aquifer.